* The generators reviewed in our article Best Generators For RV and Travel Trailer 2013-2014 are still great buys. Feel free to review for more insight. A small RV and camping experience is meant to be a peaceful one for both your party and others around you. You don’t want the roar of a loud generator in your ear as you watch the sunset or gaze at the mid-summer night sky. Nor, do you want to draw the ire of your neighbors with overpowering noise from your RV. We recommend a generator with dBa ratings below 60 to ensure a pleasant experience for all. This typically will come in the form of an inverter generator. Every traveler knows that maximizing available space and minimizing pack weight are keys to a successful and enjoyable experience. The same idea applies to your RV or camper generator. Many home generators can weigh up to 500 lbs! We recommend an RV generator weigh no more than 100 lbs as it is a manageable weight to load and unload from the RV and will be kind to the miles per gallon performance while driving your RV. Of course this is one of the most important factors. We look for generators with a strong track record of performance and high ratings from consumers and seasoned RV and traveling enthusiasts. We are looking for generators that provide around 2000 watts of output. This is the sweet spot to power an RV (appliances, electronics, etc.) with a little room for an additional needs. We are looking for the sweet spot of affordability and high marks for the prior three metrics. 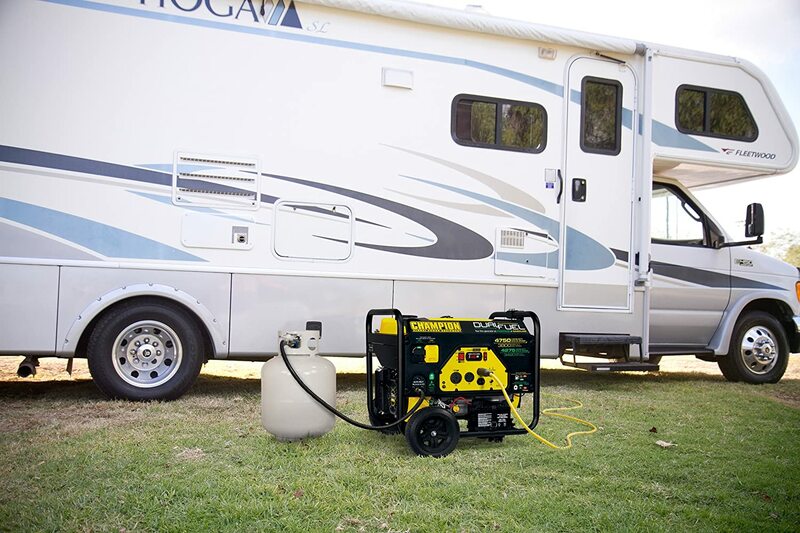 A strong performing portable generator for a small RV or trailer can be had for between $500 and $1,300. Our top pick for 2016 remains the Yamaha EF2000iS 2000 watt gas powered portable generator. This generator packs more than enough power and is quiet with a noise rating of just 51.5 dBa. 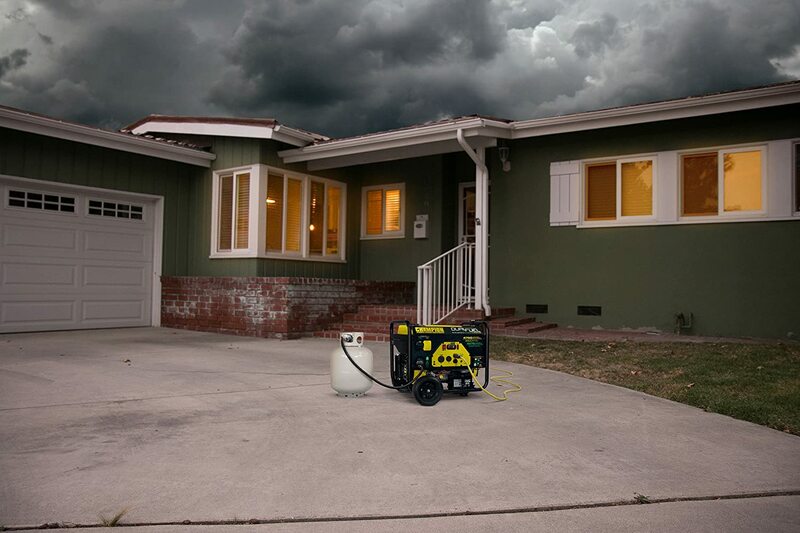 Weighing only 44 lbs, the generator is light enough for most any adult to move. The generator can run up to 10.5 hours continuously without refueling giving you long lasting power. It will reliably power a 5,000 BTU air conditioner, microwave, and small refrigerator. We were extremely pleased with its performance during our own testing and consumers agree with us. The EF2000iS has garnered a near 5 out of 5 stars from almost 300 consumer reviews on Amazon.com. The generator delivers and exceeds our criteria for under $1000 at a cost of $989. Shipping is included in the price. We feel this is an excellent value that is difficult to top. The EF2000iS is CARB compliant and is available for sale and use in California. If you are looking for a generator to reliably power a large 13,500 BTU air conditioner, try the slightly more powerful Yamaha EF2400iSHC. The Champion Power Equipment No.75531i Inverter Generator, 3100-watt is our favorite RV generator for those seeking a little extra power. The 75531i is still impressively quiet testing at 58 dBa, only slightly more than the Yamaha 2000iS. The 75531i does weigh considerably more at 80lbs, but wheels and a handle are built in to the generator helping it to maintain a very high portability rating. 80lbs is still extremely light for a generator. 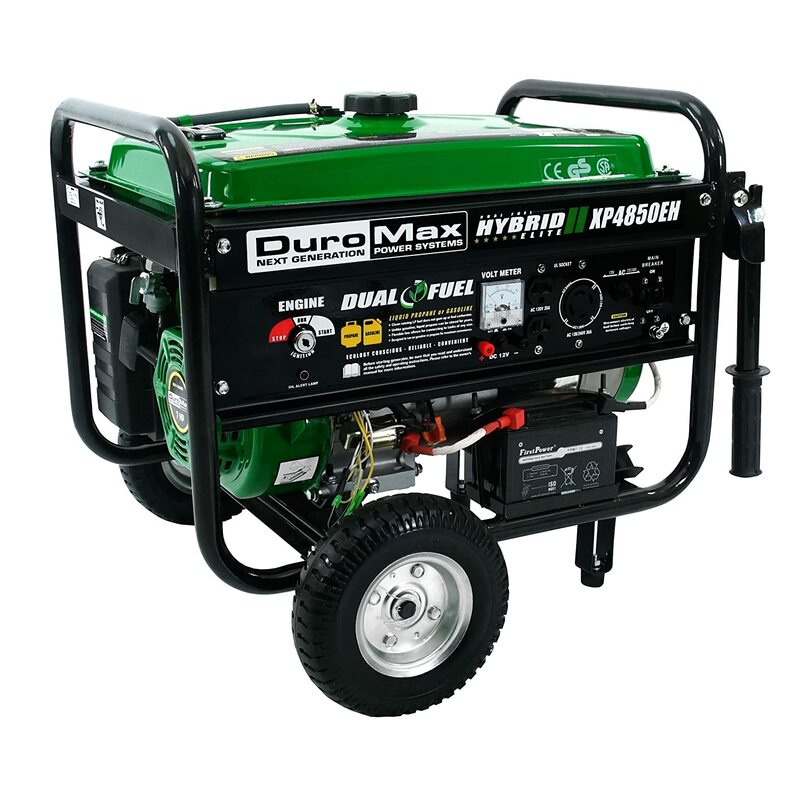 The generator can run 8 hours on a full tank of gas (1.5 gallons) at a 25% load or 5-6 hours on a higher load. Champion offers excellent customer service and support. A two year manufacturer warranty is provided and a knowledgeable customer support line staff is available should you have any questions or require assistance. Consumers agree that the the generator is a great buy at only $839 on Amazon, rating the generator a 4.5 out of 5 stars from over 100 reviews. Getting 3100 watts of power, light weight, and quiet is rare at this price point. Champion comes through again with the 735361i 2,000 watt 4 stroke gas powered inverter generator. The generator checks all of our boxes. The 735361i is light at only 48 lbs and is equipped with a built-in carry handle. It is quiet with a low 53 dBa rating making it perfect for dense camp site areas. Consumers also love this generator awarding it nearly 5 out of 5 stars across 74 reviews on Amazon. The 735361i can be had for $599 on Amazon.com. Shipping is included in the price. The 735361i is CARB compliant and available for sale and use in California.